Hello! :) I'm just popping in to share the card I created using the Fall-to Layout #102 sketch posted by Natasha on Friday. I changed my card base to 3 1/4" x 6", but otherwise remained true to the sketch. Have a great day! 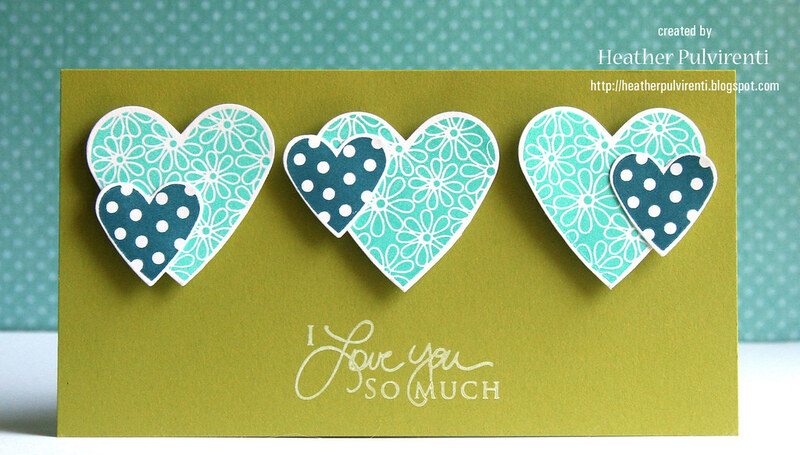 What a sweet CAS card :-) I like the hearts and how you've overlapped them, looks great. Lovely card. I especially like the colors (one of my favorite combos). Very nice card. It's a simple layout, but has big impact thanks to your color choices. THIS IS AMAZING AND I LOVE THE SIZE. Such a cute use of the heart images. Great color combo. I LOVE this card, Heather! Love the fresh color combo and clean look! Thanks for sharing!